A.M. Best says year-to-date 2016 results in Texas alone appear to have already met the nine-year average for hail storm damage in the United States. 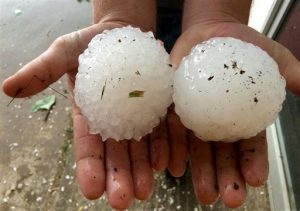 According to Best’s Briefing, titled, “Texas Hail Storm Damage Poised to Exceed Nine-Year Average—And It’s Only April,” data compiled from numerous sources states that total hail damage in the United States in 2015 was below the nine-year average of $1.2 billion. Drivers are faced with a number of distractions today. Consider that more than 587,000 people driving at any given time are holding cell phones, according to a National Occupant Protection Use Survey conducted in 2014. According to Distraction.gov, a joint website run by the National Highway Traffic Safety Administration and the U.S. Department of Transportation, 3,179 people were killed and 431,000 were injured in motor vehicle crashes involving distracted drivers in 2014. The University of Alabama at Birmingham announced it has developed the first SUV driving simulator laboratory in the world. In the development of this lab, UAB partnered with Honda Manufacturing of Alabama, which provided a full-bodied 2016 Honda Pilot built at their factory in Lincoln, Ala., to be retrofitted with state-of-the-art simulator technology funded by the Alabama Department of Transportation. The technology gives UAB researchers the opportunity to conduct important safety studies involving distracted driving practices. The New York Insurance Association (NYIA) advises that motorcycle thefts in New York increased by 23 percent from 2014 to 2015. According to a report from the National Insurance Crime Bureau (NICB), motorcycle thefts nationwide increased by 6 percent during the same time period, rising for the first time in 10 years. Legislation now signed into law by Oklahoma Gov. Mary Fallin will keep some motorists with insurance from receiving a fine when they fail to carry their insurance verification form. House Bill 2473, by state Rep. Ken Walker, would remove the penalty for failure to show proof of insurance in instances in which an officer is able to verify a person’s insurance. He said that law enforcement currently has access to a person’s insurance coverage when they look up the person’s tag or vehicle identification number.